A trip to Lake Tahoe wouldn’t be complete without some time on the water. Since many options exist — from wake surfing and kayaking to fishing and cruising — you’re bound to find something you’ll enjoy. Lake Tahoe is a 2 million-year-old freshwater lake with a 72-mile (116 km) shoreline in the Sierra Nevada Mountains. Its base elevation is 6,225 feet (1,897 meters). The lake is about 22 miles (35.4 km) long, 12 miles (19.3 meters) wide and has a maximum depth of 1,645 feet (501.4 meters). Don’t own a boat? No problem. There are plenty of rental options. But before signing up to rent water sports equipment, consider lodging somewhere with all-in-one deals. It will be more cost effective than going a la carte. Several resorts around Lake Tahoe offer discounts on water sports equipment to guests. On the North Shore, Tahoe Chaparral and Northlake Lodges & Villas in Incline Village are excellent options. 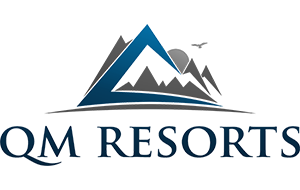 These resorts partner with Action Water Sports to offer various types of rentals, including $100 off a boat rental. Various types of boats from 19 to 27 feet (5.8 to 8.2 meters) holding eight to 13 passengers are available for rent. Centurion, Chaparral, Cobalt, Crownline, Formula, Malibu Sunsetter and Sea Ray are among several varieties. The price includes towels, ice, a lake map and fuel. Prior to sailing, take note of any small craft advisories or gale/storm warnings. Postponing or cancelling an outing will be less inconvenient than an emergency while on the water. Make sure all safety equipment is properly functioning prior to leaving the dock. Informing someone on shore of your expected boating routes, planned return time and a list of passenger names is also advised. Lake Tahoe boaters can monitor channel 16 VHF-FM for weather forecasts, including lake wind advisories. Any type of water activity will help you work up an appetite. Dine at restaurants exclusive to Lake Tahoe, pick from a number of chain eateries or cook your own food. Lake Tahoe has many boat-up restaurants with parking slips. If you plan to park in a slip at a marina, contact the restaurant in advance to be sure there is space. Also, laws on driving a boat while drunk in Nevada and California are similar to those of operating a motor vehicle under the influence. There are big advantages to renting a boat as opposed to hauling your own. For one, driving into the mountains while towing a boat and leveraging many twists and turns can be challenging — not to mention finding parking and an open boat ramp. Those bringing their own motorized boat also must undergo a watercraft inspection for aquatic invasive species, such as quagga and zebra mussels. Inspection fees vary depending on size of vessel and sometimes decontamination fees are imposed. If renting and operating a large, unfamiliar boat seems daunting, consider a JetSki, kayak, paddleboat or paddle board. Guests of Tahoe Chaparral and Northlake Lodges & Villas can build a package deal for this equipment at Action Water Sports. Propelling watercraft with one’s body is a good cardiovascular workout that improves muscle strength. Action Water Sports also offers rentals and lessons for those who want to learn to water ski, wakeboard and wake surf. Wakeboarding involves riding on what resembles a short surfboard while being towed by a motorboat. Wake surfing consists of riding a boat’s wake without being towed. Renters are asked to show up 30 minutes before their scheduled rentals begin to fill out paperwork and get a safety briefing. This will maximize allotted time on the lake. For the latest information on equipment availability, visit Action Water Sports online www.awsincline.com. Taking a cruise on Lake Tahoe is something else to consider. Sierra Cloud Catamaran Tours, which partners with Action Water Sports, offers 2-hour voyages of the northern and eastern shores three times daily from Incline Village on its 55-foot (16.8 meter) boat. Trips include beverages and snacks. Periodic sunset music cruises also take place. Private charter cruisses are also options on Sierra Cloud. One of the best known boat shows in the area is the Lake Tahoe Concours d’Elegance wooden boat show, held each August at varying locations. These antique, classic, restored and vintage boats make it one of the nation’s premiere shows. If fishing is in your plans, keep in mind that it’s only permitted specific times before sunrise and after sunset in many areas. There are also daily limits to the amount of fish that can be caught. Check with either, the U.S. Forest Service’s Lake Tahoe Basin Management Unit, California Department of Fish and Wildlife or Nevada Department of Wildlife for up-to-date regulations. Fishing licenses are required. An easy way to guarantee a catch is at the Tahoe Trout Farm in South Lake Tahoe. No fishing license is required, there’s no limit to amount of fish and equipment is provided. Customers pay only for what they catch and the fish can be packed on ice. This is an ideal option for guests staying at area resorts with kitchens. Each room at the Ridge Sierra and the Lodge at Kingsbury Crossing in Stateline, as well as Tahoe Chaparral and Northlake Lodges & Villas in Incline Village have fully equipped kitchens ideal for cooking your catch. Whether you’ll be out on the water or not, check the temperature in advance and wear sunscreen. Apply the sunscreen prior to departing for your activity to give your skin adequate time for absorption. Consider a wetsuit if your boating trip will involve swimming. Water temperature is at its warmest in August and September, averaging between 65 and 70 degrees Fahrenheit (18-21° Celsius). Several swimming events are held at the lake each year, including the Gar Woods Polar Bear Swim during North Lake Tahoe SnowFest each March. Popular summer swims include the Sand Harbor Open Water Swim in June, Lake Tahoe Open Water Swim in August and South Shore Open Water Swim in October. If group swims aren’t your thing, pick a beach and swim at your leisure. Swimming is a cardiovascular activity that builds endurance and strength and eliminates the stress of impact off the body. Scuba diving, windsurfing and parasailing are other water sports to do at Lake Tahoe. Windsurfing is a combination of surfing and sailing. Parasailing involves wearing an open parachute while gliding in the air and being towed by a boat. Water sports may be on the rise at Lake Tahoe but are also on the rise nationally. For example, data from the Outdoor Industry Association shows kayak use more than doubled between 2006 and 2013. Additionally, data from the National Recreational Boating Survey shows 21 percent of California households participate in some sort of recreational boating. About 3 million people visit Lake Tahoe every year, according to the local visitors bureau. The year-round population in communities around the lake is about 65,000, but that figure can reach 300,000 on peak days. When it’s time to settle down for the night, enjoy your favorite beverage while watching the sun set on your balcony if you’re fortunate enough to get a room at the Ridge Sierra, Kingsbury Crossing, Tahoe Chaparral or Northlake Lodges & Villas.